Aroma Seacrets Tea tree Oil an essential oil derived from the leaves of the Tea Tree. 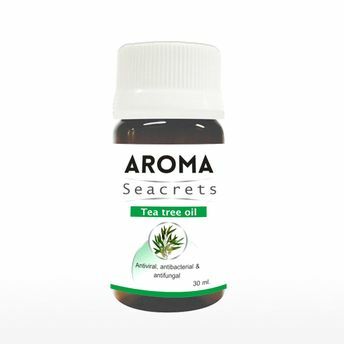 Its uses are so plentiful that some have called tea tree oil a "medicine cabinet in a bottle". This oil is very effective against bacteria, fungi, and viruses and stimulates the immune system.